Hang one or a dozen of these cool lights in your room... you'll be pleasantly surprised with the effect. The cool tree pattern will set the mood for fall harvest or Halloween. Complement it with the rest of our cool decor to really set the seasonal scene! Use this 16'' Coach Lantern as part of a scary display or a historic one. Add a pillar, votive or tea-light candle for an authentic old-time glow. You could even take it camping! This Candle Holder w/ Faux Candles adds a fillip to your decor that's both romantic and a bit creepy at the same time. It's perfect for a vampire or ghost theme party. Or for a creepy, kooky, mysterious & spooky family gathering. Light up your party table in style! This 2 Inch Black Glitter LED Candle gives you all the benefits of a real candle--warm glow, mood lighting--with none of the drawbacks--open flame or messy melted candle wax. Its LED bulb is battery-operated. So it's perfect for any spooky decor theme. Add that warm but eerie glow to your decor with this 2 Inch Purple Glitter LED Candle. 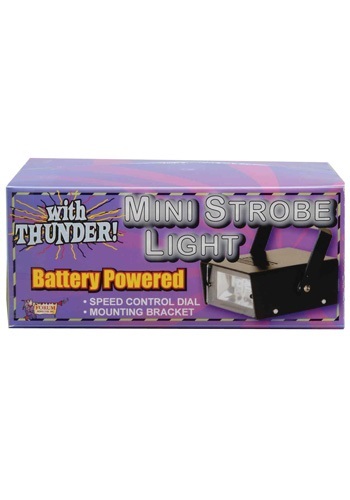 It's battery-operated with an LED bulb, so you don't have the hazard of an open flame or the mess of melted candle wax. And purple is the new "IN" color for Halloween. Get the look of a real candle without the danger of flame or the mess of melted candle wax with this 3 Inch Black Glitter LED Candle. It's battery-powered with an LED bulb. Make the most of your spooky ambiance! The problem with most candles is the mess--melted wax all over. And the flame--things can catch fire. This 3 Inch Purple Glitter LED Candle doesn't have those problems. This battery-operated LED candle doesn't burn, and it doesn't drip. It just gives you the eerie glow you want. Your kitchen light is fun and all, but just try flipping it on to feel some Halloween spirit. Under most circumstances, that probably just isn't going to happen. Flip one of these pumpkin-shaped lanterns on and it's a whole different story. Once it's on, you might just feel like dressing up like a ghost to scare trick or treaters, even if isn't quite the end of October yet. Light up the night with our Micro LED Purple String Lights! They're beautiful (and a little bit spooky, too). Because they are battery powered, you can place them anywhere! You might be stocking up on candles for your big party, but none will be cooler than this Skull candle. Pick up a couple to really set the scene! This Birch Hanging Light will give the effect of light shining through bare tree branches. It's a cylinder of perforated metal with tree silhouettes on the outside. Hang it wherever you wish for a warm glow. Add a spooky wooded ambiance to your room with this Birch Table Lamp. One or two of these can transform a room into a chilling chamber of terror or a relaxing retreat. It's all up to how you decorate the rest of the room! Looking for a touch of rustic in your favorite room? This great lamp is not only perfect for a seasonal decoration, it's actually so cool you might want to keep it out all year. It adds a little wooded ambiance to any room! Need some bewitched candles that drip blood? Believe us, it's more trouble than it's worth to get real magic ones. You have call up a witch, bring her newt eyes and other disgusting things and then she'll probably just double-cross you and cook inside a giant cauldron. These black candles create the same macabre effect in your home, but you never have to talk to a creepy witch to get them! Heck, you don't even have to use fire to make them light up and there's no messy melted wax to deal with, since they use lights and batteries light up the night. Here's a way to freak out your party guests: light these candles and tell them they drip real blood from all your past victims! It will totally freak them out. 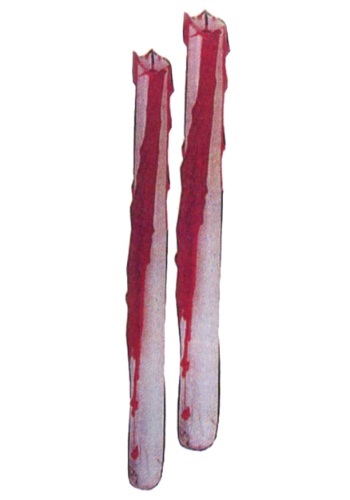 These Bleeding Taper Candles are a great decoration for the mantel. Not all ghosts have to be scary. Sometimes they can be cute! 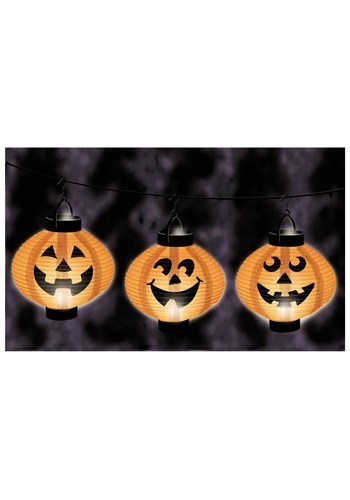 This string of color changing ghost lights will add some fun to you Halloween decor. There's not a lot more frightening than an old and neglected doll. What once was a treasured toy has transformed into a terrifying relic of the past. 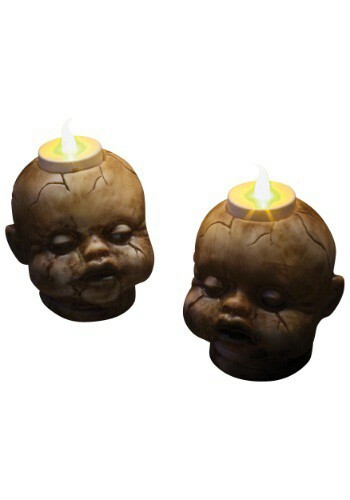 Show off your creepy side by setting up these dollhead tealights. 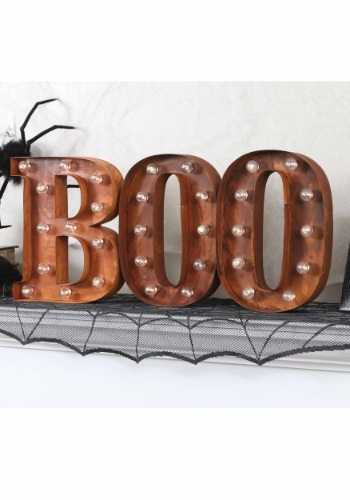 One thing is for sure—they will really set off your spooky decor! This Candleabra is perfect for illuminating a spooky situation. Whether you're crafting a dungeon lair, witches cove or simply a spooky porch to hand out candy, this decoration will provide the perfect finishing touch! Add a different twist to your Halloween party decor with this Glitter Skull Garland. Be sure to purchase extra batteries so it will glow for your entire evening! 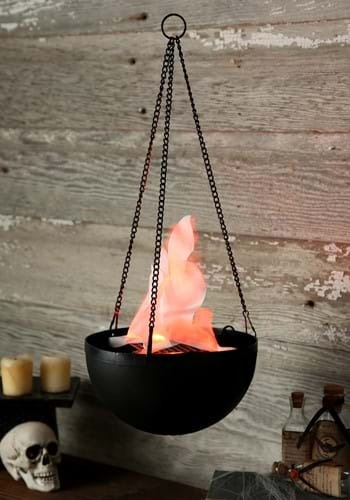 Keep this Hanging Flame Light on your porch so the trick or treaters stop at your house. This is an 18 inch long hanging light which is easy to assemble. Lights and AC adapter included. When it lights up, it looks as though you have a burning flame outside your house! We are sure that your spooky scene is terrifying but you can always boost the scare factor up a notch. 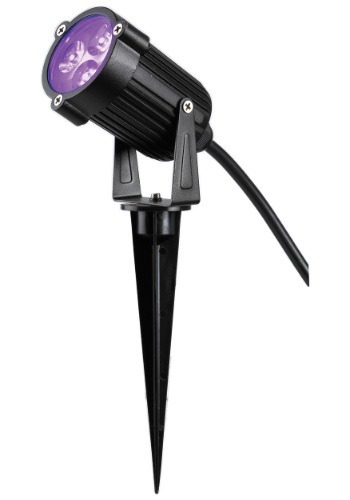 Add this LED Black Light Spot Light to any outdoor scene for a unique look that will creep out the neighbors. Does your home need something extra to make your outdoor decor really pop? 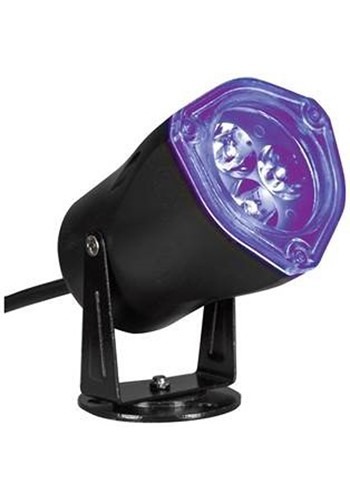 Then add this LED black light spot light to your house set up. 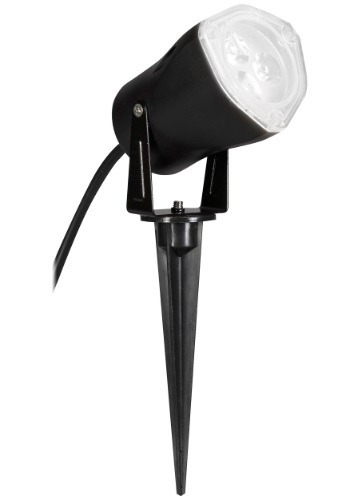 Just stake this in the ground and your house will be a little more spooky thanks to this light. Did you spend all day perfecting your outdoor setup? Did you hang the wreath and wrap blinking lights around the balcony? If so, draw some more attention to all your creativity with this LED Clear Spot Light . It's perfect for illuminating all your hard work! Give your Halloween decor an eerie green color with the help of this great LED indoor spot light. This works great for a spooky lab as well as for some fun St. Patrick's Day or Christmas decorations. You went to all of that trouble setting up the spookiest graveyard scene on the block, now let everyone see what you've got with this inexpensive outdoor LED light bulb and fixture. Use this red spotlight for Halloween, Christmas, Valentines Day or patriotic decorations. It will add that extra highlight to make your decor memorable! "What is a lamp, you nincompoop? It's a Major Award. I won it! "This Christmas make your home a little bit more like Ralphie's with the help of this leg lamp window cling. You'll have everyone in the neighborhood jealous of your home with this great reference from the classic movie A Christmas Story. And no need to worry, this light up poster isn't as fragile as the acutal leg lamp. 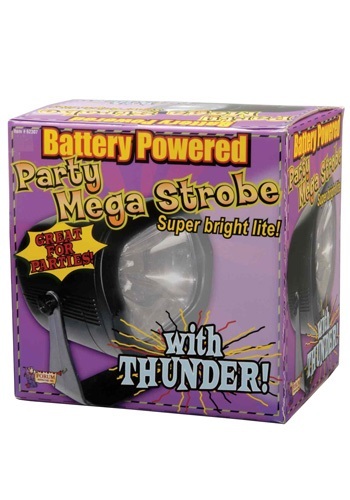 Entertain and impress the trick or treaters that visit your door when you decorate with this LED strobe lights! In addition to the flashing effect these lights make, spooky thunder noises are generated as well! You can light up your home in the boring old way, with a light bulb and a switch, but why? 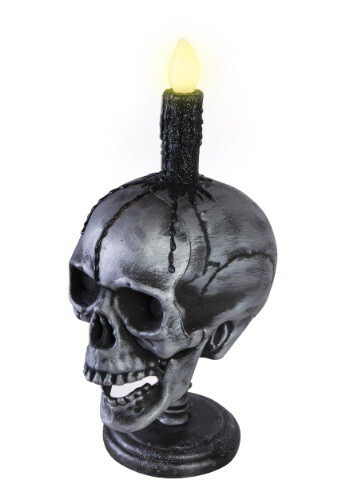 This Light Up Skull And Candle brightens up your home, while adding a deathly aura to your home. People might think that you're a lich, or a necromancer, or maybe even something worse! That's something your normal old lights won't do. A Halloween decoration that is warm, inviting, and festive? How unique! This Lighted BOO Sign lights up with the simple flick of the on/off switch. It looks great in a living room or in a porch window. We like to think this will be kind of spooky, but we think you're more likely to have a bunch of admirers say, "Where did you get those awesome letters?" Which, while not spooky, is pretty great anyway. Here's a perfect decor item for the Halloween season that looks so classy no one will mind if it stays up past the big day! Featuring 3 stems that will fit perfectly in a vase or a pumpkin, it has 96 glowing lights for a little subtle fall ambiance. We know you love Halloween, but your Christmas lights are not an acceptable alternative for home decorations in October. Red and green lights just don't convey the Halloween spirit. Orange does though, which is why we got this 21' long string of lights ready for your holiday extravaganza. We won't try to stop you if you try using them for Thanksgiving too. After you've created the perfect Halloween decor scene, make sure everyone sees it with this outdoor lightshow clear light. Just prop this light in front of the scary scene you created and get ready to hear the shrieks. The light will make your artistic creation come to life! Need something to help light the way while you are trick or treating? This Owl Lantern can help out, just stick a candle in there and it will light the path so you get to every house you want to stop at. The lantern has an owl on one side and a black hissing cat on the other! This is the safest candle around! This Purple Glitter Taper LED Candle will glow without any fire. This cool, eye-catching candle will guide the way! Thomas Edison always knew that the light bulb was going to be a great invention, but he probably didn't know the creepy implications it would have for creating a horror movie! (He also probably had no idea what a horror movie was). This Rusty Attic Light Prop is the pinnacle of his invention, which creates the frightening look of an old horror film. 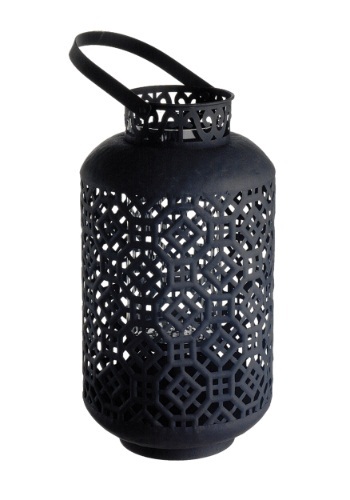 Add an oriental touch to your party with these Silhouette Paper Lantern Lights. They're fun for Halloween, but you can also use them for an Asian theme or Chinese New Year party. Skulls and candles?! What a creepy, yet creative, decoration. Set this Skull Tealight Set on a mantle, or table, or nightstand for a spooky look that will glow once all the lights are shut off. Make your house on the block stand out this year! 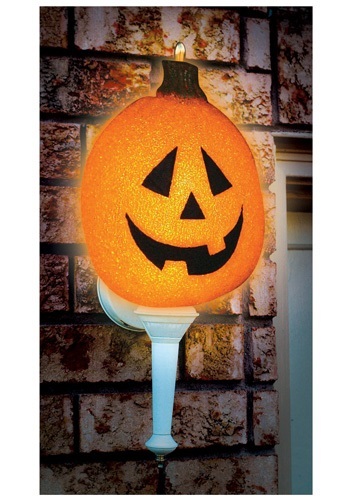 This Sparkling Pumpkin Porch Light Cover easily goes over your porch light with an elastic band that is attached to the pumpkin. When light is turned on, the smiling gap-toothed pumpkin glows. This is a fun and unique Halloween decoration that looks great on any porch light. The human anatomy is kind of scary. The intestines are like a giant hose made out of flesh, but the the skull body part that takes the cake for being creepiest. 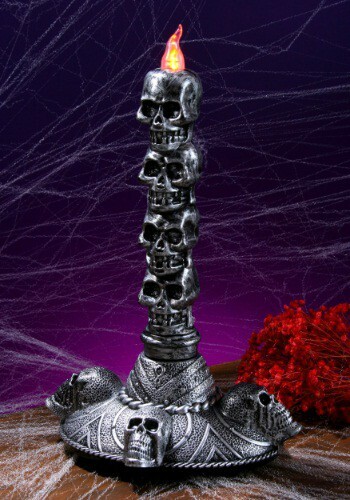 That's why if you want a creepy looking candle, you want this Stack of Skulls Large Candle Tower. It's designed to look like a whole pile of skulls stacked tall. With a light on top, you don't ever have to worry about it melting either! Finally, a candle tower worthy of your party! 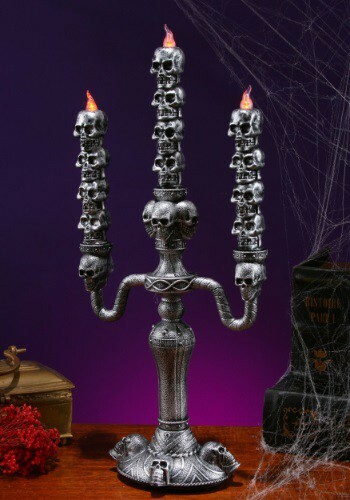 With your guest list (Frankenstein, Elivira, the entire Munster family...) they're going to be expecting a top notch macabre vibe, and you'll be able to deliver with this candle tower! 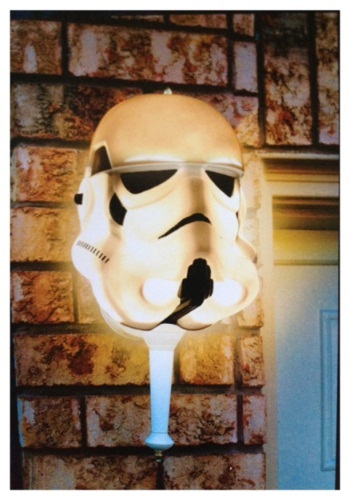 This Stormtrooper porch light cover is an ominous signal to any would-be Stormtrooper attackers. When they see the head of their brethren displayed upon your porch light, they'll know better than to point their blasters at your home. The side of a house is something that those guys actually CAN hit.